Virtual reality headset have become more and more popular recently, from the basic Google Cardboard using your own smartphone, to models interfacing with a computer such as the $599 Oculus Rift or $700 HTC Vive. Chinese manufacturers have all launched a few standalone models running Android such as the high-end Deepoon M2 based on Samsung Exynos 7420, or the relatively inexpensive HA544 powered by Rockchip RK3188 quad core processor with 2GB RAM, and 8GB flash. 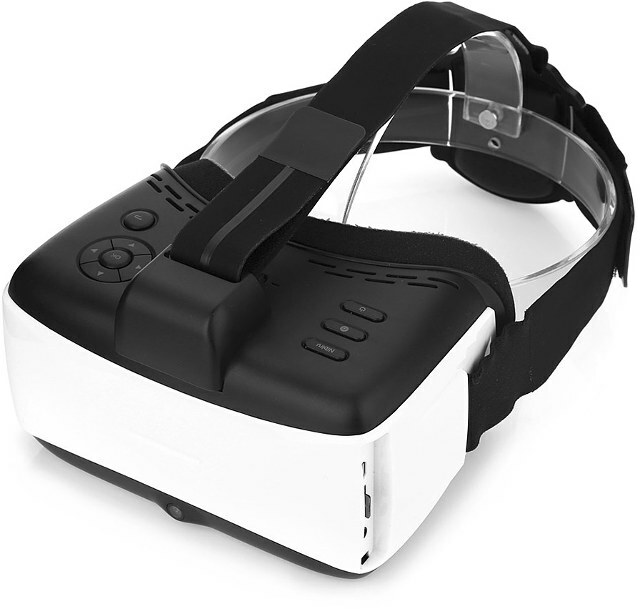 The VR Headset runs Android 4.4, and ships with a simple 2.4GHz Remote, a 5V/2A power Adapter, a USB cable, a warranty card, and a user’s manual. GeekBuying sells the VR headset for $154.99, but it can also be purchased for $160.62 on GearBest. GeekBuying also posted a review on their blog, where you can learn how to use it, and what can be done with it. 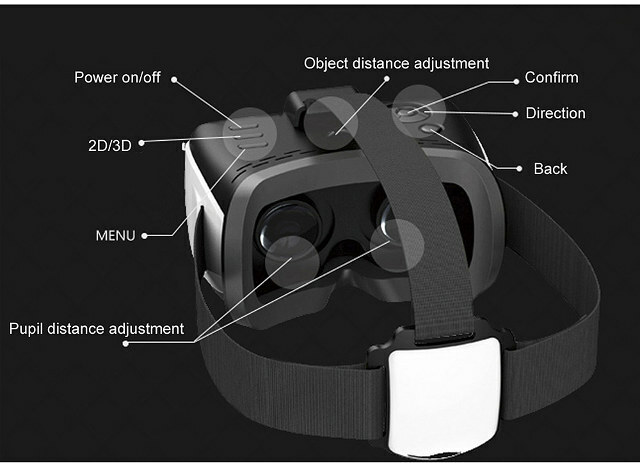 Might be wrong, but assembling VR headset with Mali 400 as GPU… what’s the point? RK3188! like strapping a 4yrs old phablet to your face. only use for videos, but from experience with google cardboard clone (good optics), it is also a piece of crap. “5.5, 1920×1080 resolution” translate to ~540p of vid/img for each eye. And slapped a 150 dollar price tag on it LOL. At first i also think just put a low-end tablet/phone in cardboard, but after play with it for days, i find rock chip did optimize a lot in this new area. and yesterday they release the RK3399, and claim the RK3399 is designed for VR headset also. Mali 400 is just old GPU, however, there is no “big” android VR games right now, @Tired8281, for just watching 3d movies, it’s ok.